Have Ukrainian Christians Learned the Power of Jewish Prayer? - Breaking Israel News | Latest News. Biblical Perspective. When Christians began showing up in his Ukrainian synagogue asking for blessings, Rabbi Noah Kofmansky was a little taken aback. But over the years, this new form of supplication for Jewish prayer has brought with it incredible positive relations between the Jews and Christians in the small community of Chernivtsi, reported an article from The Times of Israel. The non-Jews who take the time to visit Rabbi Kofmansky’s synagogue do so because they firmly believe in the power of Jewish prayer to bring miracles and ease their suffering. They say that God holds the prayers of the Jews closer to His heart. During their private meetings, Rabbi Kofmansky writes down his visitor’s problems on a little piece of paper and asks God to relieve their difficulties. With this opportunity for such a close connection to God, countless people have begun to open up to the idea of Jewish prayer. One such person is Irina Tarasenko, a non-Jewish hotel administrator, who first approached the rabbi when her mother had a kidney operation. By God’s grace, the rabbi’s prayer worked and now her mother is still well, she told The Times of Israel. 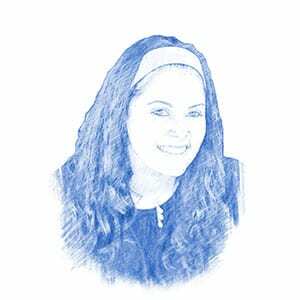 She again met with Rabbi Kofmansky when her daughter was taking entrance exams at a police academy; again God accepted the rabbi’s prayers on her behalf. Since then, the 51-year-old has become one of Rabbi Kofmansky’s biggest fans, even advising her hotel patrons to meet with the rabbi first thing in the morning. Attributing the ever-increasing popularity of approaching the rabbi to the success of his prayers, Rabbi Kofmansky noted that “Everything depends on the result. If the result is good, people come more often and they bring their relatives.” To that effect, at least 50 Christians visit Rabbi Kofmansky every day, according to Chabad Rabbi Menachem Glisnshtain, a fellow rabbi who arrived in Chernivtsi five years ago and works with the spiritual counselor in the small Ukrainian town. There are even those who travel from all over the world to merit even a short audience with the noted leader. “People come from all over Ukraine, from Spain, Portugal, Italy, Moldova, Romania,” Rabbi Kofmansky said. The number of visitors has grown so quickly, in fact, that there simply isn’t enough time in the day for Rabbi Kofmansky to meet with all who approach him. It’s not unusual for the rabbi to spend at least nine to ten hours a day sitting with supplicants. For this reason, Rabbi Glisnshtain instituted an additional, faster system: he installed a box whereby Christians can write a note for the rabbis to learn their situation and pray to God on their behalf. Once a day, Rabbis Kofmansky and Glisnshtain collect the notes, read everything written by anonymous visitors and “we pray for everyone together,” Rabbi Glisnshtain said. The concept of approaching a rabbi and asking him to beseech God on their behalf or to offer blessings is very common in Judaism. In Israel alone there are several well known gedolim (respected scholars of their generation) whose homes are constantly filled with visitors seeking guidance to tackle their life’s troubles. Those who visit the gedolim often bring a small donation as a representation of giving of themselves in exchange for Godly blessings. With the money visitors have donated, Rabbi Kofmansky was able to afford to replace his synagoge’s rotten floor and leaky roof and even installed new windows and doors. He also provides free, hot meals daily to approximately 60 elderly Jews, the rabbi told The Times of Israel. Rabbi Kofmansky believes that through his work in beseeching God for prayer as well as using the donations charitably, it has promoted positive relations between himself and the Christian community.